The a3Genealogy International Team has been tackling large Polish ancestry project the past year. We have bragging rights for breaking brickwalls if given enough time. These projects are not easy, most of the in-country documents are not indexed. There are different research techniques for Jewish ancestry in Poland, and Catholic. Let’s further break this down. Catholic genealogical research is even divided between Roman Catholicism and the Greek Catholic Church. Have you heard of Ruthenian? I’ll explain that late. Bu the way…Polish genealogical research is not really in Poland. It includes the full eastern bloc to include Ukraine, Austria, Russia, Hungary, and Czech. No…it’s not easy! So where do you start. As with all genealogical research start with yourself. Exhaust the American or Canadian or European, or Australian records. Those are just some of our projects. You should be ferreting out all you can, on you surname (and remember that surname can be spelled in a half dozen ways.) But start with the most recent spelling and be flexible. What to look for in the online collections? Yes, start online. It’s one of the few times I will say, spend lots of time, just pulling online records. Census records -will give you family units. Not a big hint since the same names may be in the household three doors down, but pay attention to occupation, military service, education level, age, and place/date of birth. These small details will become life-safer later. 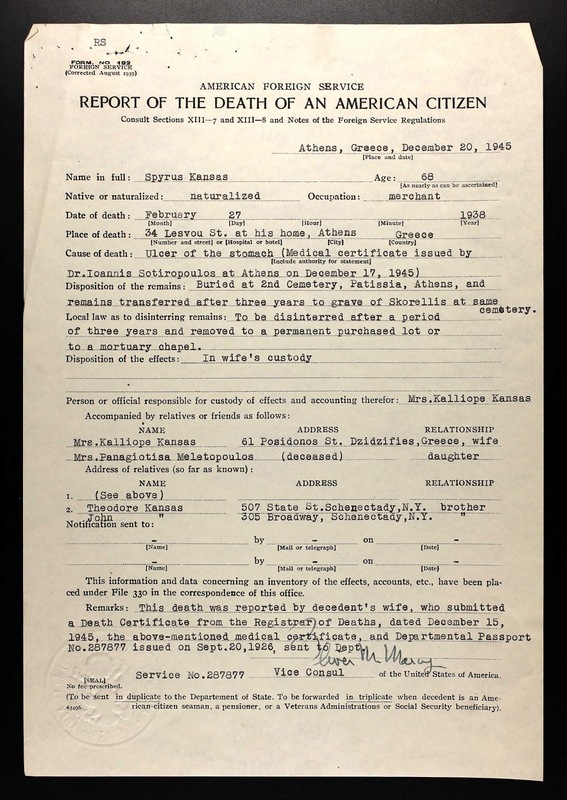 Death records of your immigrant may hold family secrets. Plus you will want to pull the birth records of all of their children. This will narrow down the emigration, and help to tie family units in Europe. 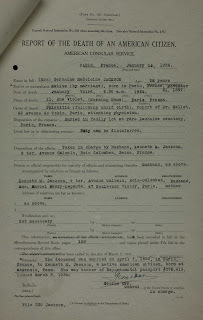 Military records -these records give us contact persons’ names, and date and place of birth. May mention if your ancestor was an alien or naturalization. You may find that the next of kin is a wife back in Galicia Poland (let’s say), or family that did not travel, or maybe state where in Galicia, or Tarnapol or one of the powiat, or voivodeship, gmina. Collecting more is best. The reason is when we “jump the pond”, we get to match these people like a Rubik's cube. The National Archives, AAD is a great resource for Russian and German (index files). 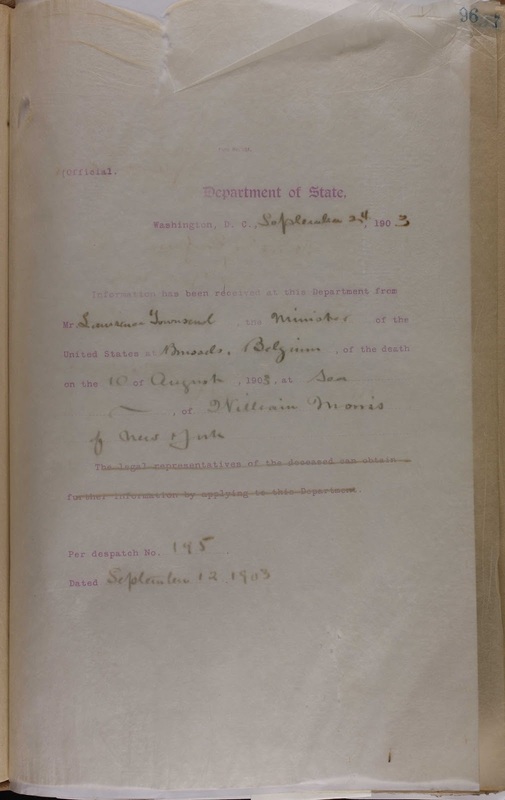 Naturalization Records – just start online, but you need copies of the originals (the indices gives us minimal details, and really, is more for confusion than untangling family units. 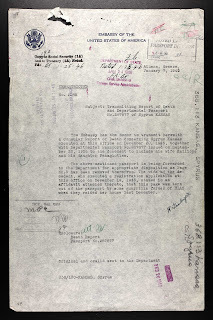 Don’t forget Declaration of Intent records (1st Papers). By the way this is where you will find change of names too. My Wasyl changed his legally to Walter. Special Boards of Inquiry, Immigration Records, – a common overlooked one. There aren’t a lot that have been digitized, but exhaust there first, the find out where your Special Boards of Immigration Inquiry are located (if salvaged). What will you learn? LOTS! Lots of lies, but more truths. Luckily these sworn statements help us wade through the obvious issues here. 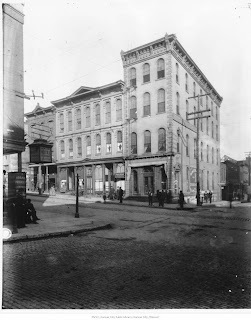 Today I worked in the Philadelphia, PA Immigration Records, Special Boards of Inquiry, between 1893-1909 digitized on ancestry.com. I have also worked with this record collection in the regional National Archives - NY. This is the time for super passenger/manifests list knowledge. Matter fact, if you have been waiting for an excuse to understand the markings, locations, how to use them, the time has arrived to be the best friend of passenger and manifests lists. I have this newspaper photo of Great - Uncle George who served in WWI. 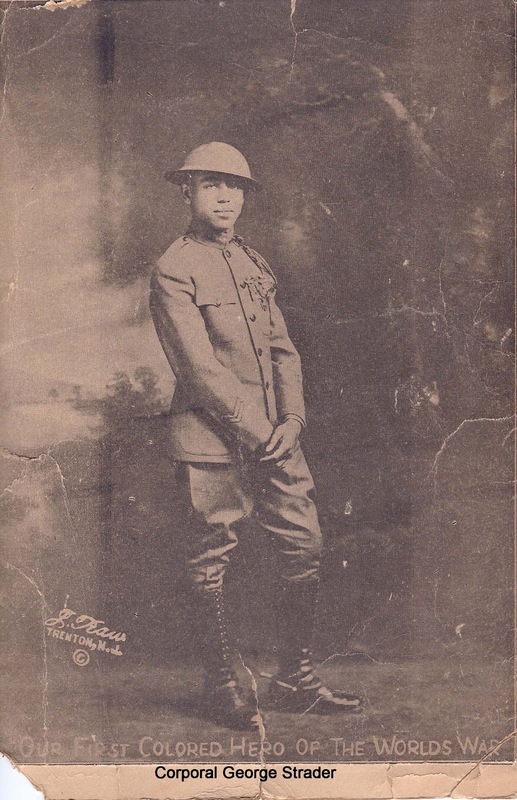 He was the celebrated "colored man"from Rice County, Ks - George F. Strader "Our First Colored Hero of the World War." I also found him listed in a picture with his troop Co D of the Pioneer Infantry 805 book . I have information of his troop; and I have, in my arsenal of goodies, Great - Uncle George's WWI helmet that his mother turned into a chandelier. Yes, read about it at WWI Chandelier Helmet. Who turns a WWI helmet into a chandelier? Oh...I know! My Great-Grandmother. The chandelier - helmet is a hit in my Sharing Your Ancestors presentation. But what more can I find about Great-Uncle George? There's so much I don't know. How was G-Uncle George injured in service? When did he get promoted to Sargent. By the end of his service years he was a Sargent as listed in the troop book, and in the Enrollment Book(V: 27, Reno Republic, Rice counties). But, The Best Christmas Gift Ever! Late Christmas Day, 2018, I received an email from a man named Greg Stredder. Greg had obviously done his research and googled George Strader (not Stredder) and found me. So let's do this sequential. I have a blog and articles posted across the internet so other researchers can find me. I have written about G-Uncle George and his mother on this blog. Back to Gregg who found me and sent me the email. Greg's message was short. " Thought this would be of interest to you." Greg had come across an article in the Lyons Republican paper, dated 14 Jan 1919, from Lyons, Rice County, Kansas (the county seat) while researching his own "Stredder" family, I was delighted. 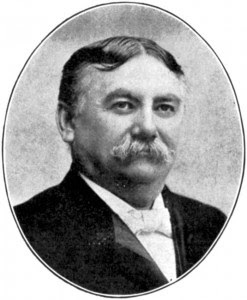 The editor titled the article A Letter From France and misspelled my great grandparents names as James Stredder, but the letter was clearly signed by George F. [Franklin] Strader. 2) Lesson two: Prove kinship. Is this my George? Stredder or Strader was proved by this write up: "Corporal "George was the first colored boy from this county..." Yep, it's my Great-Uncle George. 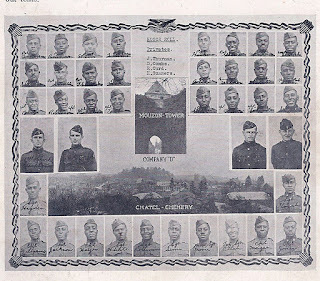 There were only two colored boys from Lyons Kansas, Uncle George and my grandfather (who did not serve due to a physical injury). Others from Sterling which was also in Rice County "down the 2 lane highway a-piece," and from neighboring counties (Reno, Ellsworth, Stafford and Barton counties), worked in the Lyons salt mines or only lived in Lyons, KS temporarily for work. My "colored" Strader family arrived in Lyons Kansas in spring of 1900. My great-grandfather, James, a teamster in Kentucky was drafted to work in the salt mines. So, no question it was my Great-Uncle George. Oh and by the way, Great-Grandma had told me about the letter, but we never found it in her belongings in 1968 when she passed away. Either way, in our family, and in Lyons, Uncle George was quite celebrated. Plus the printed letter was signed by George F. Strader. Be kind, when you find something this magnificent, this marvelous in the paper about someone else's ancestor, be like Greg! Share it. I had experienced a bitter-sweet Christmas. Greg changed my negative narrative to a day of gratitude. Thank you Greg! The printed Lyons Republican letter of 14 Jan 1919 fills in quite a bit of detail about Uncle George's military service and his troop. The details take us to the place in time, the activities, and daily routines of Uncle George's WWI experience. 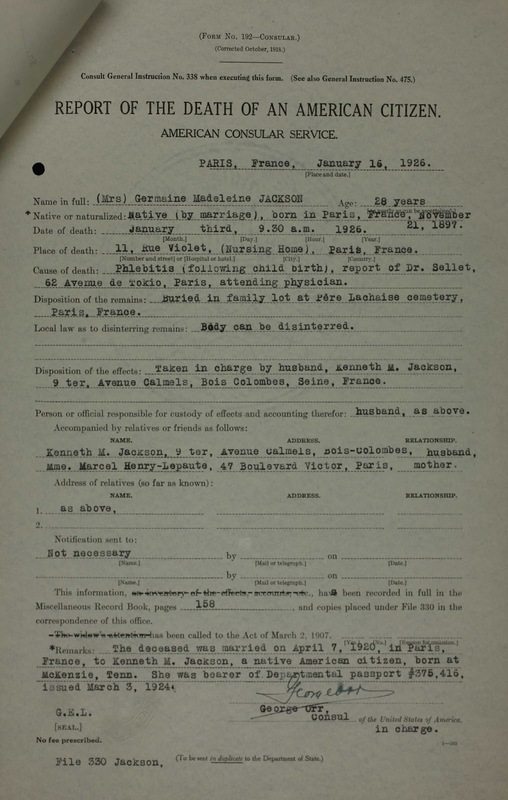 It is a great replacement for his burned WWI personnel record that was not salvaged from the 1973 St Louis National Personal Record Center. (NPRC). 1) Uncle George wrote the letter 10 Dec 1918, over a month before it was printed in the Lyons Republican. At the time he was a Corporal. By the time he came home he was a Sargent. When was he promoted? 2) I need to review this newspaper one more time for the misspelling of the family surname of Strader. Did it appear as Stredder in other articles? 3) George was in Chatel France, surrounded by the Argonne Forest. 4) George could read and write. His mother was a school teacher during the Reconstruction era. She was only fourteen when she started teaching. But we didn't know how well George wrote. I did know all five of his sister were well educated. One attended Emporia, Kansas State Teachers College But it's good to know that George, the second child could also read and write. 5) The family letters were reaching George while he was serving in France. 6) George somehow got lost in the Argonne Forest alone. More information on this may be in the Morning Reports. 7) George was in a quartet. He seemed quite proud of this. Note:, my father was also a good singer. 8) George saw up to 45,000 German prisoners at one time. Was he at a POW camp? 9) George was involved in raids that included gas bombs.Yes, g-uncle George was injured in the war, but unlike the story G-Grandma like to tell, it was not from front line action! 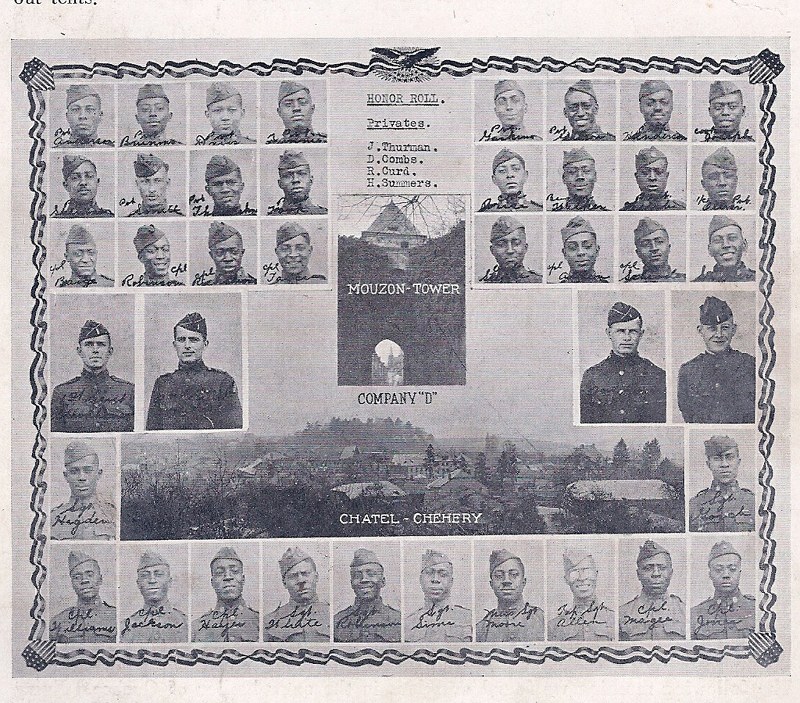 10) The letter gave information about other local black soldiers. Daniel Baugh was from Barton County, KS. He worked for the railroad when he came home from the war and lived in Geneseo, KS. Arthur Stewart was from Sterling Kansas, and was a farm worker before and after the war. And as stated, Booker was from Great Bend. G-Uncle George came home, but soon after he went to St. John, Stafford County, and lived with his oldest sister. Like my grandfather, g-uncle George was a car mechanic. Again, special thanks to Greg Stredder! At a3Genealogy we encourage our clients to research their family lines. So right now, as I'm writing this post, an Australian-based client is currently researching in Warsaw and forwarding to us his findings and documents. We work with our clients -"teamwork" - to get answers on their ancestral brickwalls. 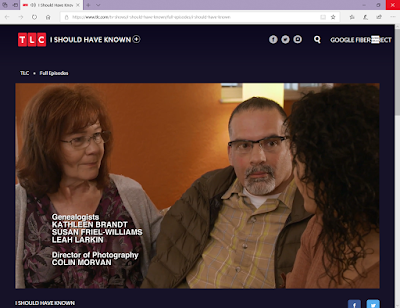 In this case, it is the client who is the document retriever, and a3Genealogy researchers will analyze documents, follow the Genealogical Proof Standards (GPS), and work toward proving kinship to meet the objective of "Who are the parents of Stephanus...? (Truncated for client privacy). If you haven't visited the Central Archives of Historical Records Warsaw or one of the other national Poland archives, well, you are missing a treat. The Central Archives of Historical Records Warsaw or Archiwum Główne Akt Dawnych w Warszawie, AGAD, holds a wealth of genealogical information (AGAD). Visit the AGAD link to read about it in Polish, or have your page translated (right click mouse and choose translate). Although our current Polish ancestral research project does not include a Polish American component, we must sneak in an underutilized American collection. We love the Polish Institute of Arts and Sciences of America PIASA Archives. Yes, this collection can be a bit academic, but so worth the time. Here's information based on their website: The archival manuscripts are included in seventy-five collections. correspondence, diaries, maps and sound recordings." A quick look at The Head Office of the State Archives Sezam and Zosia Databases is a great place to begin your research. We often use this as a finding aid, and send the "Nerd Team" to the site to ferret out information. Yes, we affectionately call a few of our researchers the "Nerd Team." They consider it a a badge of honor. Here is information on the various databases and Poland Holdings of the Polish State Archives. 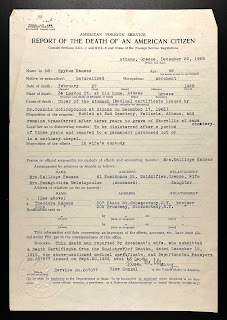 If your research lands you on needed State Archival collections, the a3Genealogy team relies on the Family History Library for their microfilmed/digitized Polish State Archives collection. Since not all of the State Archives records were microfilm, you may need to make a written request for document retrieval. 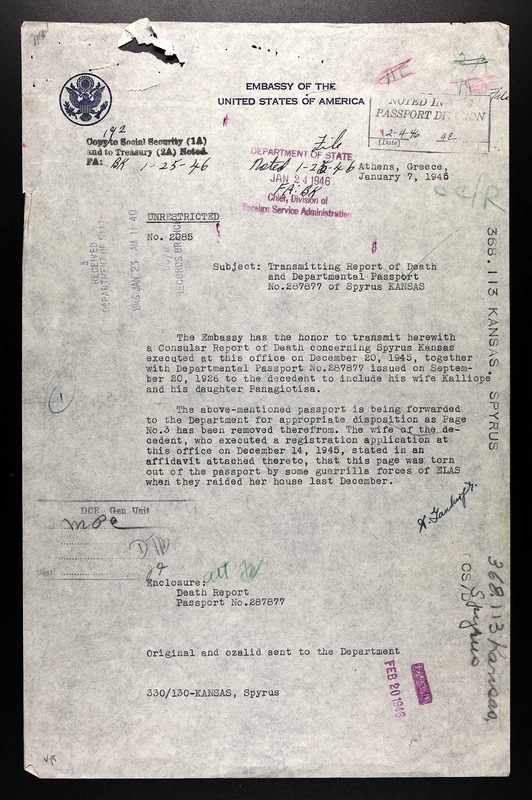 Here's more information on the Poland State Archives records. Where will shared documents be stored? At a3Genealogy we use Box.com, Dropbox, and Google Drive, based on the retriever's experience. Our retrievers may send us documents in any legible form (scanned, phone cameras, by snail mail, email, messaging, etc). We ask for full pages to include margins. Then we file the documents in the appropriate folders. The biggest issue is that a project may have multiple "Stephanus" in each generation (cousins, direct line, uncles, etc). So your files and folders must clearly determine which "Stephanus". Researchers want an at a glance filing system! That's a major time saver. So this is where we have broad guideline for clients, but professional document retrievers for hire should know to follow GPS standards for citations. Ok, our overseas retrievers often use a different citation format, but it usually meets our needs. Just remember to cite! For clients we have them jot down everything they can about the collection: name, folder number from archives, collection name, etc. This can be given to the a3Genealogy team via handwritten notes, phone pics, etc. and we sort it out for proper citation. Just a few Polish repository and research tips and tricks.